This year my crew went as students, and a professor, for Hufflepuff from Harry Potter. 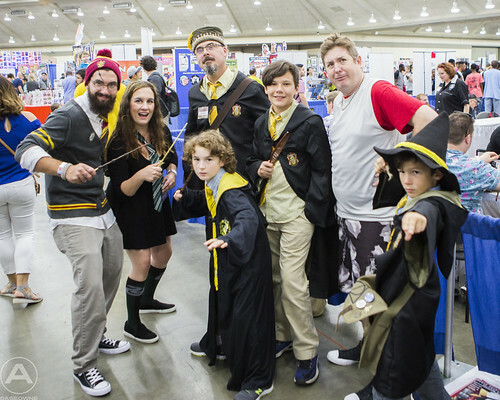 Always enjoying being the true stinkhead, I cosplayed as Dudley, from Order of the Phoenix. As we walked the floor, if I saw any other fans dressed as Harry Potter people and I’d try “bullying” them. It was fun, but a lot of people didn’t get it at first. 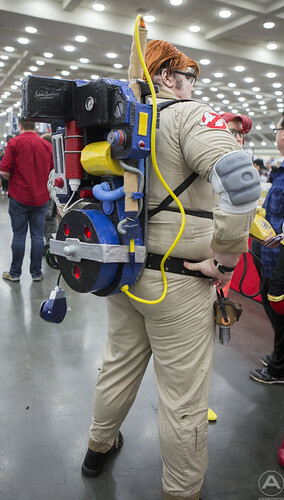 I really enjoyed the homemade costumes the most, this dude created his own REAL Ghostbusters proton pack, based on the animated series. Check out the gallery to see him and Janine. I also love seeing the families that cosplay together. Back in the day cons were pretty much die-hard comic fans, who if you follow the stereotype, didn’t typically bring along wives and children. I love that geekdom has exploded and now we see all manner of fans, and everyone’s getting into it. 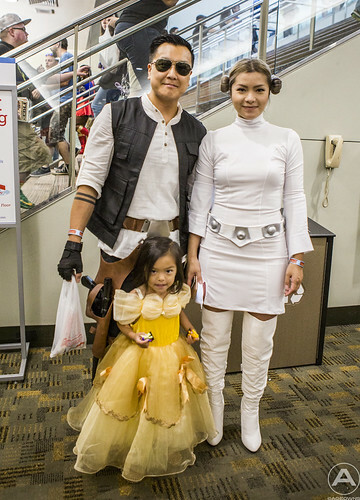 We were commenting that this family probably had a grand plan to be all Star Wars themed and the daughter won the discussion to be Belle. There were some amazing guests and panels this year. Star of the new film Shazam, Zachary Levi, was on hand for photos and autographs. Luke Cage star Mike Colter, comic legend Frank Miller and geek hero Wil Wheaton joined a huge list of guests available to meet and chat with fans. We also got so much cool geek stuff. I picked up a handful of vintage Mad Magazines and dove into collecting obscure enamel pins. My crew got a ton of comics, pokemon cards, and hit up artist alley for some prints. While my squad had outgrown the kids programming, it’s always a lot of fun and we recommend checking out the schedule if you have younger ones. 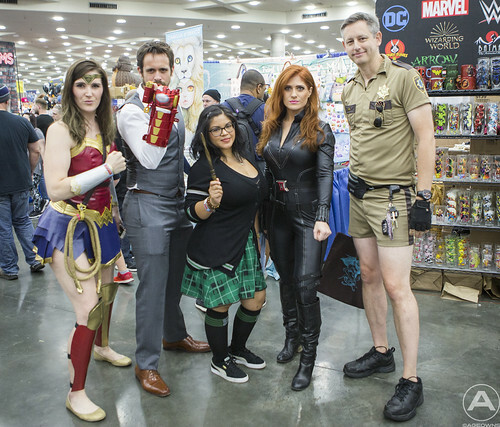 Check out our awesome gallery below and make sure to keep October 18-20, 2019 clear on your calendar for next year’s con!